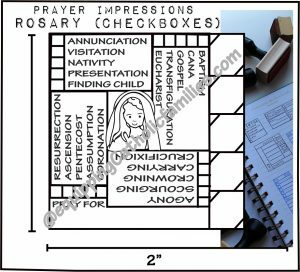 Following along with my Prayer Journal posts and printables , these new Prayer Impressions ROSARY Journal stamps are perfect who people who like to journal their prayer! 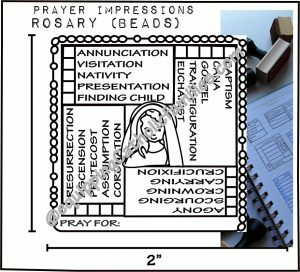 We’ve got two different styles…with checkboxes or beads, but we’ve managed to squeeze in names of all 20 Mysteries and our Kelly Saints Our Lady…all in one stamp. 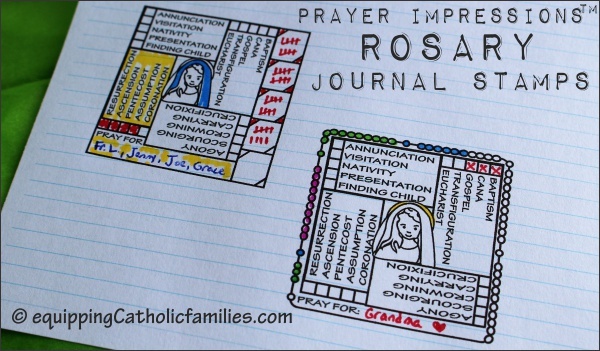 Would you like to see different sizes available for these Rosary Journal Stamps? Leave a comment…with the size and how you’d use them…or contact us! 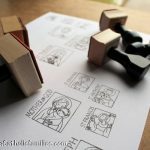 …as well as some new Saints Journal Stamps! 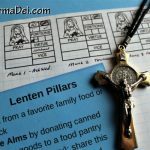 Accountability Journal Stamps for Lent! 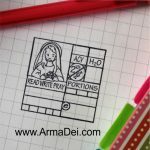 So beautiful, and what a great way to keep track of a daily rosary and to be mindful of who you are praying for. Having those mysteries close at hand is an excellent tool as well. I love love these!